Living a connected life has never been simpler. But being so connected can lead to lots of devices stacked up on and around the TV stand. And with each device comes a set of wires and chaos behind the TV. This cable clutter is a common cause for anxiety and frustration. Luckily, going wireless is becoming mainstream and you have good options to eliminate some of those cables. What is an HDMI Cable? An HDMI cable transmits high-definition audio and video to your TV. Most modern gaming consoles, cable boxes, Blu-ray players, and top box devices use an HDMI cable to connect to the TV. While HDMI cables offer easy connections, they tend to add clutter and limit where you can place your TV and media devices. Transitioning from traditional HDMI cable connections to wireless HDMI is simple, whether it is in your home or your business. Wireless HDMI requires an HDMI transmitter and receiver, many of which are sold as kits. The transmitter connects to your gaming, set-top box or other media device and sends a wireless signal to the receiver. The receiver is connected to your TV and receives the signal from the transmitter, up to 150-feet away. 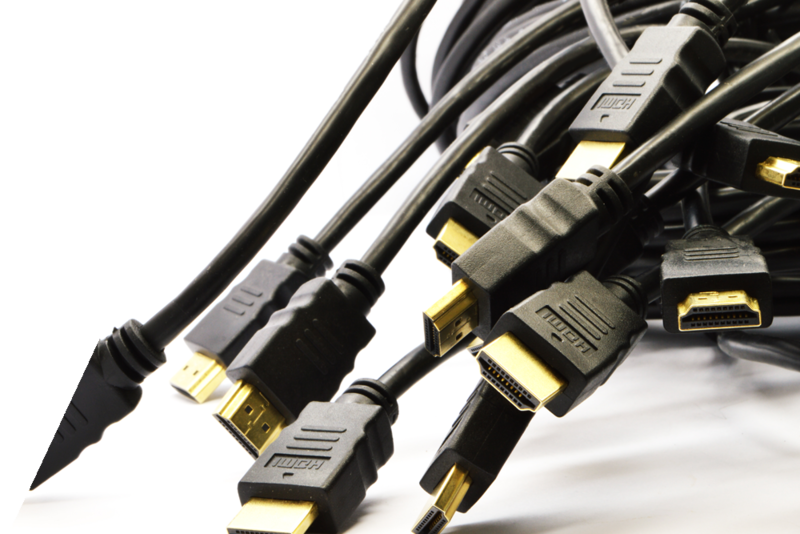 Traditional HDMI cables create a cluttered and unsightly appearance. Using wireless HDMI allows you to have a clean, neat and organized media stand. Wireless HDMI offers increased freedom and flexibility about where you can place your media device and TV. Rearrange to your heart’s content. Set up your cable box on a stand in one corner, and your TV across the room or even on the other side of your home. Placement is no longer a limitations because of wires. Wireless HDMI is easy to install and offers high-quality video and audio. Like an HDMI cable, Wireless HDMI does not require a Wi-Fi connection. It creates its own direct wireless signal between the transmitter and receiver. So if your internet cuts out, you will still have access to all your devices. You may find wireless HDMI kits like MyWirelessTV2 at a number of online stores, including Amazon and Best Buy. How to Connect My Cable Box Wirelessly to a TV? How can you use wireless HDMI in a doctor’s office?